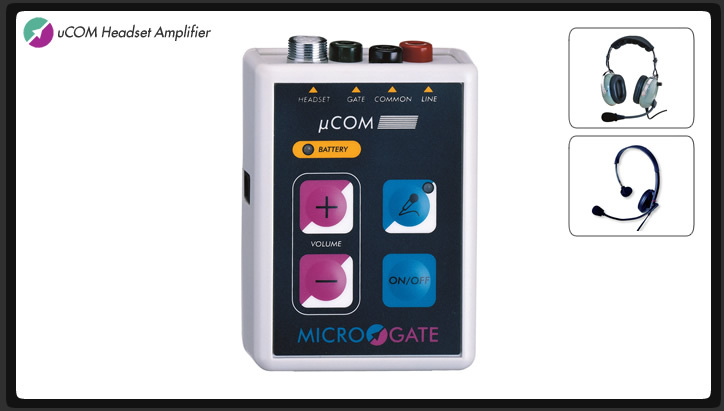 Microgate's uCOM communications amplifier is the perfect complement to your Microgate timing system. It can work on its own channel or the same channel as your timing system, and unlike other systems, it works even when the start gate is open! Its rugged & compact design makes it easy to use, and includes a built-in steel belt clip. Powered by 2x NiMH rechargeable AA batteries (will also run on regular alkalines). Features controls for Talk/Listen and Listen Only, as well as Volume. Compatible with Microgate Lightweight Headset, Microgate Noise-cancelling Headset.